Cole Porter wrote “Night and Day” for the 1932 musical Gay Divorce, where it was introduced by Fred Astaire. 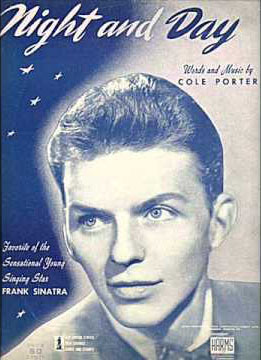 The song became and still is quite popular and certainly a standard in the American songbook. Significant recordings include those by Art Tatum, Bill Evans, Billie Holiday, Frank Sinatra, Charlie Parker, Ella Fitzgerald and Django Reinhardt. Night and day, why is it so? “Night and Day” was recorded in June 1992 and was released that year on Perfectly Frank. It was arranged by Ralph Sharon.